Never in the history of the country has there been a more dangerous and damning statement. This came with the arrival of the two-year anniversary of Mr. Trump’s Inauguration. With that came a broadside of rationale for the removal of Trump as president. That was led by a publication which has a great history, but under the leadership of Jeffrey Goldberg has become hyper-partisan and a center of Left-wing thought -- The Atlantic. After running what was entitled Unthinkable, 50 essays on the most outlandish and dangerous moments of the Trump Presidency, The Atlantic ran their pièce de résistance: Impeach Donald Trump. This 28-page analysis gives rationale for going after Trump based on innuendo and falsehoods; i.e., political violence since his election is mainly from the Right. I presume the author is not aware of Antifa and the Black Bloc. The author, Yoni Applebaum, also lays out five points of reasoning for impeaching even if Trump is not worthy of impeachment. His first point is “once an impeachment inquiry begins, the president loses control of the public conversation.” Otherwise start proceedings just to shut up Trump. The last of the five points: “even when it fails to remove a president, it severely damages his political prospects.” Meaning it would be a death knell for Trump’s reelection. In summary, if we cannot do a current political coup then we can make sure he is a one-term president. It is questionable whether the American public would tolerate this thinly-veiled maneuver so the Trump-haters had to have real ammunition. They got it Thursday night January 17th at 10:11 P.M. when BuzzFeed released a story that caused even people like myself to be knocked back on their heels. Trump purportedly had told Michael Cohen, his attorney, to perjure himself in front of Congress. The report caused a firestorm because “IF IT IS TRUE,” then Democrats would have what they need -- an actual crime with which to impeach Trump. I was baffled. I questioned that Trump had put something like that in an email. 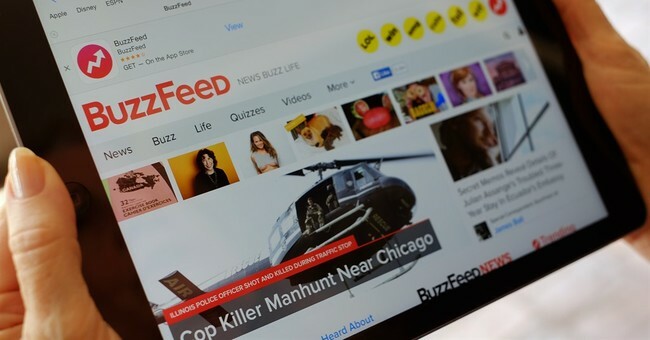 Others picked apart BuzzFeed’s story and the credibility of the authors. John Santucci of ABC News stated contradicting BuzzFeed “In all our reporting, I haven’t found any in the Trump Org that have met with or been interviewed by Mueller.” The authors had not even seen the underlying evidence or had they. They could not agree. Andrew McCarthy, a former U.S. attorney and the go-to guy for me and so many others on these legal matters, said he could not believe it because Mueller would have charged Cohen with that when he had charged him. Then as you know, the Special Counsel's office came out and said the story is false. And the MSM melted along with the Trump-haters. The furor subsided, or did it? Ben Smith, editor-in-chief, did not falter in the face of the pressure of an unprecedented press release by the Special Counsel denying the story Mr. Smith had published. Did he release documents validating the article? Did he bring forward the two government officials who supposedly were sources? In the ultimate act of hubris, he told the Special Cousel to prove BuzzFeed was wrong. Then the legion of Trump-haters started parsing the Special Counsel's statement as if it was not a complete disabusing of the BuzzFeed story. The new criteria for our press to run with a story has become “IF IT IS TRUE.” It does not matter where the report comes from or the seriousness of the claim. The MSM has become an echo chamber for anything anti-Trump. This one though was a behemoth story, published with no validation and once again our press is sadly embarrassed. They did not have to run the story, however, as the Wall Street Journal did not touch the report in its print addition. Don’t think that this is over. Adam Schiff (D-CA), the new chair of the House Permanent Select Committee on Intelligence, says this needs to be investigated. Lawrence Tribe former Harvard professor and a regular Tweeter of Trump Hysteria, is still advocating immediate impeachment along with others like Billionaire Gone Wild, Tom Steyer. “Are you now or have you ever been a member of the Communist Party” lived for over 60 years as the most damning statement/inquiry ever made in our history. Though it was made by powerful people in our government, it was barely echoed in the Press. The Press ended up fighting the implications of the question. Today the press has started the use of “IF IT IS TRUE” and then amplified it. The elected officials just copied the phrase and went along. A justification used for Trump Impeachment is his abuse of our Constitution even though it is unclear how he has done such. This is actual abuse of our Constitution. Our Press has abused the First Amendment and degraded itself in a manner that will permanently harm the value of a free press and thus our First Amendment rights. And yet there is not one person being fired or quitting in shame – are you listening Chuck Todd? We live in dangerous times if this is not disavowed and never used again.